The U.S. Commerce Department just put a 30% tariff on Chinese solar panels after it determined Chinese companies were engaging in unfair trade practices. This is a smart move, but of course we’re doing it for the wrong reasons. Even though the current generation of solar panels aren’t that efficient and degrade far more quickly than they should, the Chinese government has correctly concluded they represent an important worldwide growth industry. As such, they engage in their typical underhanded practices to ensure that their companies are given a competitive advantage. Our country also encourages the industry, but in a much stupider way. 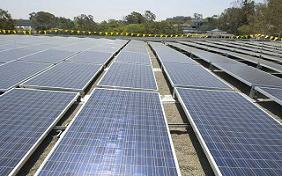 Local, state and federal governments subsidize the purchase of solar panels. But, since the majority of those panels are made in China, all we’re doing is providing taxpayer subsidies to these same Chinese firms who are already receiving support from the Chinese government. When our government did decide to aid a manufacturer directly with loan guarantees, they made the worst possible choice, the now bankrupt Solyandra. This company looked great on paper, but it had huge problems. They had an innovative product, but it was deeply flawed. It didn’t work on residential roofs or in large solar farms. It’s only real benefit was that didn’t use expensive polysilicon, but even that was of dubious value because it was clear the price of polysilicon was going to drop because so many manufacturing plants were about to come on line. By the time the government loans were approved the cost of polysilicon had dropped by 87%, which all but destroyed the need for Solyandra’s competing design. Unfortunately for taxpayers the bureaucrats ignored this problem, approved the half a billion dollars anyway, and now taxpayers are on the hook for that amount. I fully support this tariff, but it has nothing to do with protecting a vital American growth industry. It’s all about Obama’s tight reelection campaign and his need to pander to the green energy hippies who could care less about the business side of this. In the meantime Chinese companies will continue to increase market share. And don’t believe for a second this tariff will slow them down a bit. They’ll get around it with the same devious practices that they use in every other facet of their business dealings.